Ichibuns is a dimly lit restaurant, set over three floors, offering Japanese fast food with a luxury twist. Personally, I prefer the lower-ground floor, but you can choose according to your mood by the time you visit the restaurant. 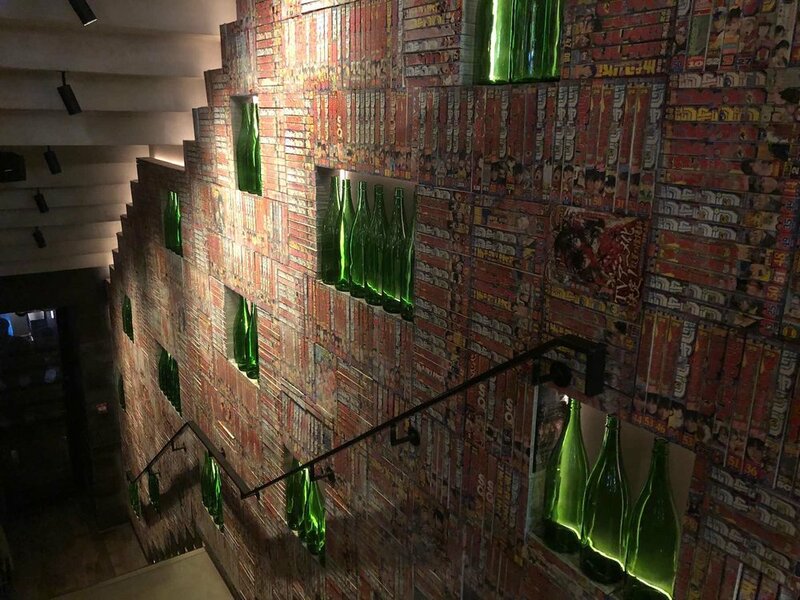 The first floor has more of a traditional Japanese vibe and decor, the ground floor has an open kitchen which is always interesting to see and the basement is full of Manga magazines, bright colour walls, appropriate for those who decide to stay for late night drinks. The atmosphere is buzzy and lively with fun and colourful decorations and deep house grooves playing on the background. All dishes in the menu are cooked with high quality products, supplied by Japan’s Northernmost island, Hokkaido. The menu has all sorts of food options, ranging from Japanese burgers to sushi and udon noodles. You may start with a sushi platter which includes the chef’s daily selection of sushi rolls. You can then continue with mains, but I suggest getting everything to share - that way you can try a bit of everything! For the meat lovers, I would definitely recommend the Wagyu Sukiyaki Nikuman: steamed buns, marinated wagyu beef with spicy miso sauce. Definitely try out the Wagyu Cheeseburger Harumaki, super juicy and delicious! The Salmon Salad is also a good option, served cold with salmon sashimi on udon noodle with apple, grape, tomato and sudachi lime. Sake accompanied our dinner, but we were so full of all the food that we didn’t have any dessert. When you're done eating, you should sit by the bar and enjoy one of their tasty and refreshing cocktails!